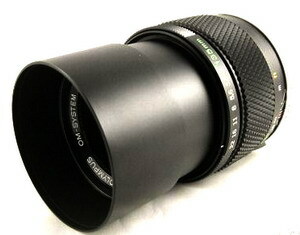 Very sharp, outstanding quality lens. This lens was my first Olympus lens in my collection I didn't expected much after many excellent 135mm lenses like Carl Zeiss Jena Sonnar 135mm f/2.8, Nikkor 135mm f/3.5 etc. I thought I have all what I want I bought this lens just for testing and sell out after test is done. I have to change my mind. This lens is excellent from every aspects very well built, optically superb and very good looking too. Close focusing distance not good as CZJ Sonnar 135mm this is only the minus compare with Sonnar.